Where is the available space in the building? What area of the floor is it on? What direction does it look out? What is the vacancy of nearby buildings? These are the obvious questions when looking to lease commercial real estate. 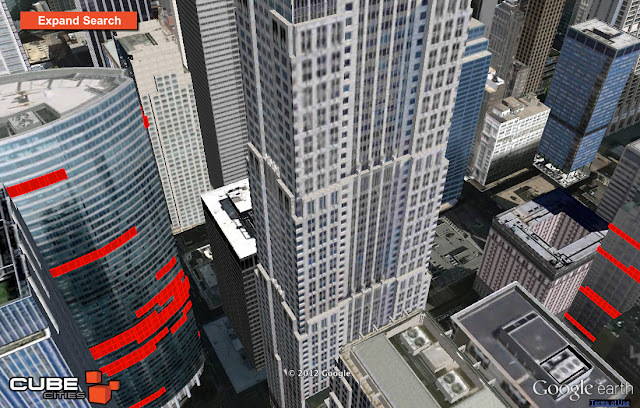 Cube Cities is providing answers with our website that allows tenants, brokers and landlords to manage and market office and retail space in three dimensions. We've built an easy way for users to add traditional space marketing to our information platform. We created a secure website where users can manage all the normal information associated with space marketing such as floor plans, important dates and rates, custom descriptions, etc. Users can even set available space options as public or private, giving them control over who sees what. 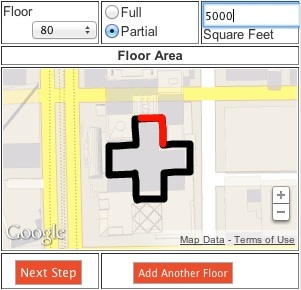 What's unique with Cube Cities is how we give users the ability to point out exactly where space is located on a floor. 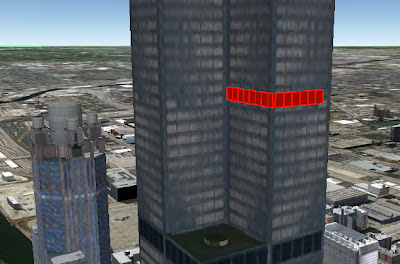 To do this we leverage our database of over 10,000 buildings to match the geo-coordinates of available space with the building floors in Google Earth. Not only does this linkage give us the capability to visualize information entered by our users, it allows us to provide innovative features such as showing the view from the exact spot on the building! 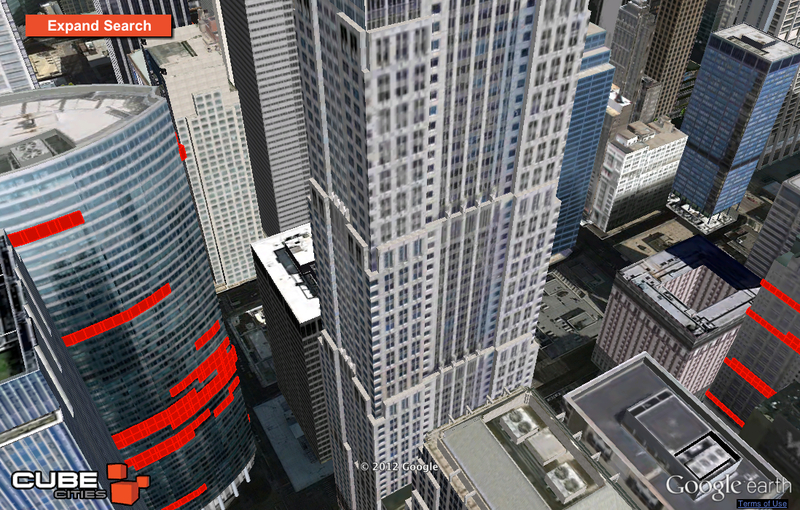 It's fast and easy to add space availabilities to Cube Cities and see them instantly in 3D. Visit our homepage and sign up today. Interested in adding hundreds of available spaces throughout many buildings? We can do that too, just send us an email.